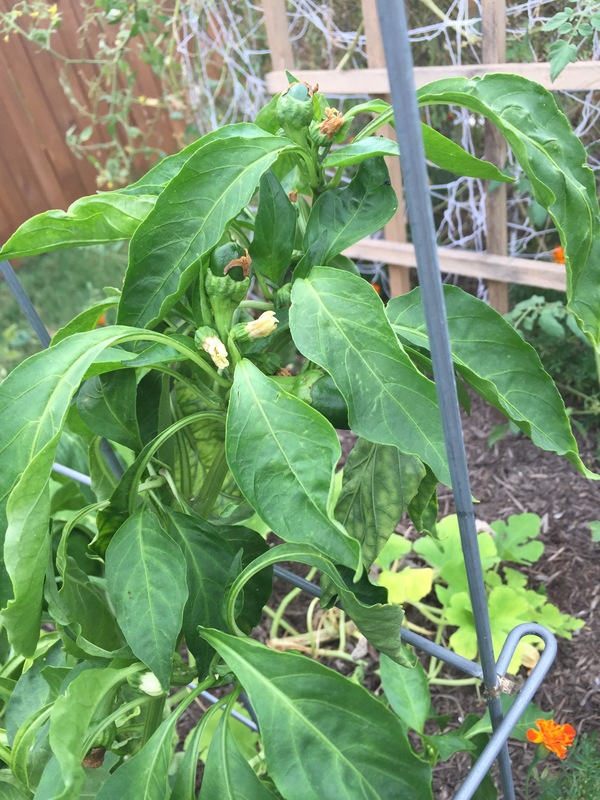 The pathetic-looking pepper plant in my garden continues to produce tiny little peppers. 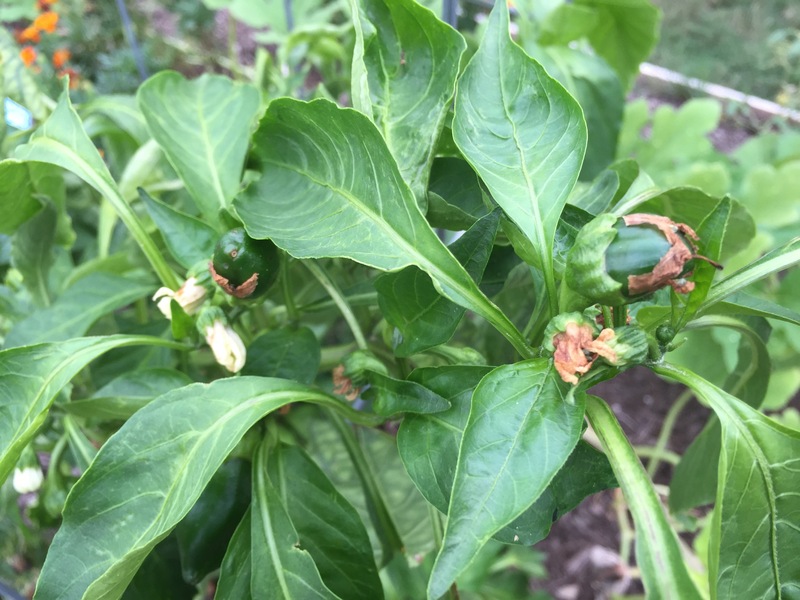 I counted at least 13 little fruit on the plant, and there are more flower blossoms, too. I thought by now the plant would be on its last legs, but it just keeps on going. I guess it must be putting all its energy into the fruit and not the leaves. 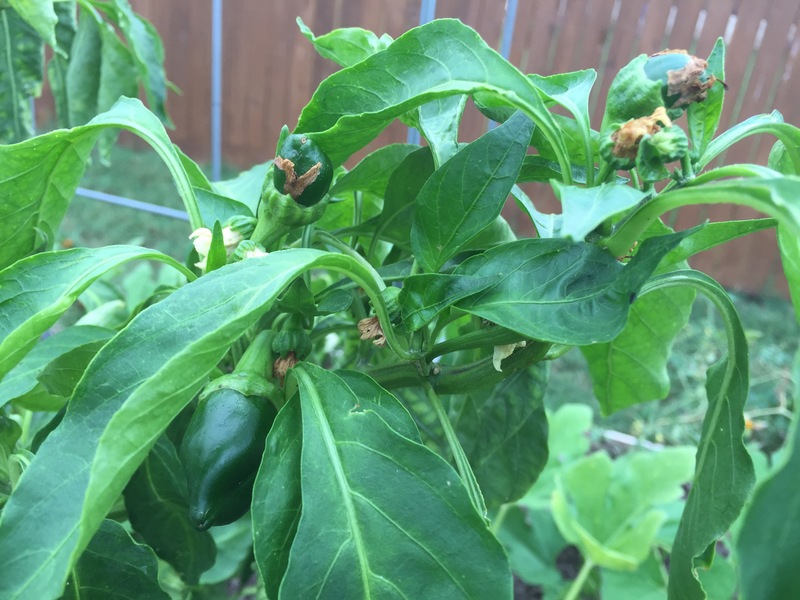 Works for me, I like fresh peppers! 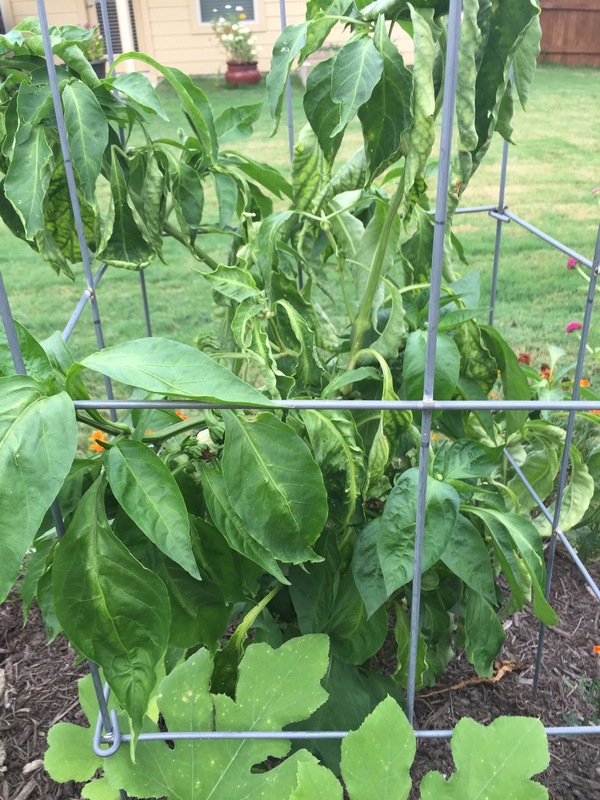 This entry was posted in Gardening and tagged green peppers on September 11, 2015 by Julie Riebe.